We provide legal representation during probate administration and protect clients' rights throughout the process. 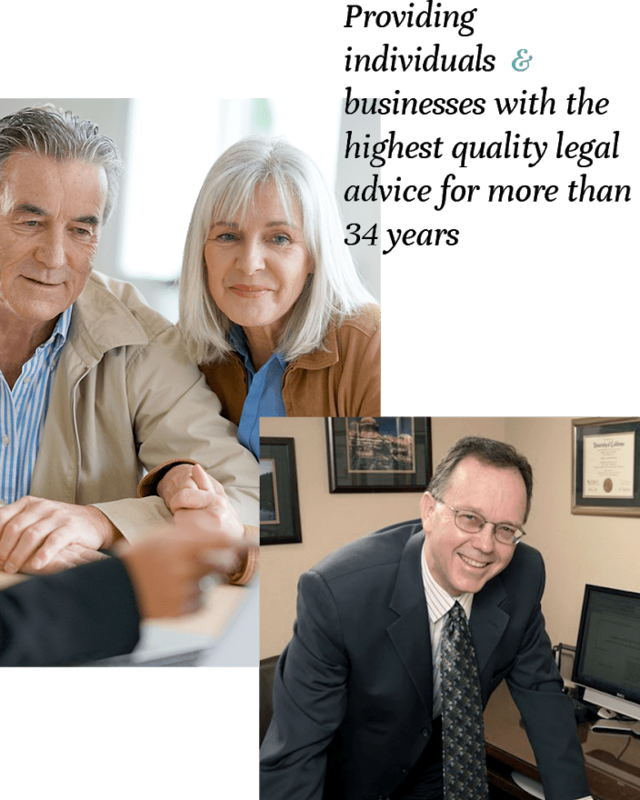 We help people with estate planning services, including living trusts, powers of attorney & health care directives. At the Law Offices of Darrell C. Harriman, our trusted North Hills attorney and founder Darrell C. Harriman has been dedicated to providing individuals with the highest-quality legal services for more than 38 years. Clear answers and honest professional advice about their case and legal issues. Superior representation as they work toward resolving their legal issues. The following is an overview of the specific types of cases and legal issues that San Fernando Valley estate planning lawyer Darrell C. Harriman has extensive experience overseeing and resolving. Don’t hesitate to contact the Law Offices of Darrell C. Harriman today if you are ready to receive trusted advice and help from an attorney known for his skills, his effective legal advocacy, and his record of success. It’s never too early to start formalizing your wishes for the future of your assets, property, and family. Regardless of whether you may have a small or large estate, getting your estate plan in order now can save your loved ones a lot of money, stress, and added grief in the future. San Fernando Valley estate planning attorney Darrell C. Harriman is skilled at devising solutions to meet his clients’ wishes, needs, and financial situations. Administering trusts can be a complicated endeavor, especially for people who have never stepped into a trustee position before. If you’ve recently become a trustee and will be responsible for administering a trust, you can turn to North Hills trusts lawyer Darrell C. Harriman for experienced advice and representation throughout the process. Probate can be expensive, time consuming, and contentious. What can make the process far more stressful and expensive is not having an experienced lawyer on your side to guide you through it. Whether you are a personal representative or a beneficiary of an estate, you can count on San Fernando Valley probate attorney Darrell C. Harriman to help you seek common ground and avoid unnecessary expense or delay (when possible) with all matters related to probate administration so you can get through the process as favorably and efficiently as possible.